When the clouds draw in and the rain starts to beat down on the pavement, there's only one thing for it: time to find somewhere warm and hunker down with some proper soul-soothing comfort food. 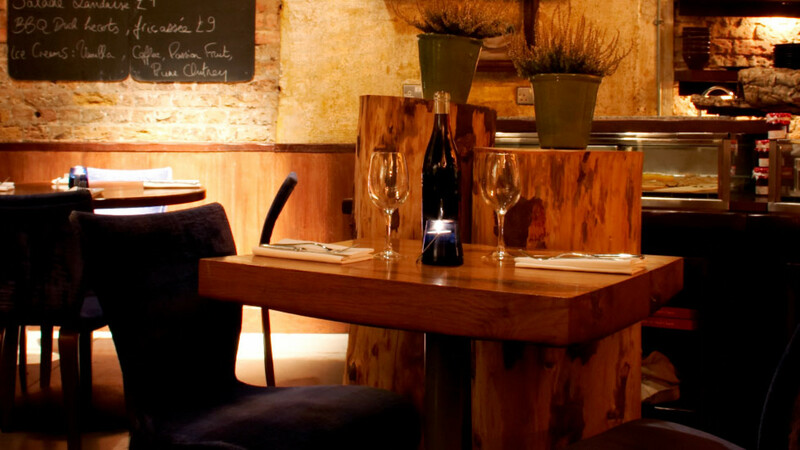 This autumn the one place that should be top of your must-visit list is Comptoir Gascon in Clerkenwell. Little sister to chef Pascal Aussignac's Michelin-starred Club Gascon, this rustic bistro on Charterhouse Street is a love letter to the regional cooking of Gascony in South West France. Indulge a little and kick things off with a supremely sippable glass of crémant de Limoux by producer Aimery Sieur D'Arques, a dry but lemony-sweet way to begin your meal. The entire wine selection is dedicated to lesser-known wine makers from South West France, so take a tour of the region and order as your courses come. We particularly enjoyed our next glass – a 2016 tannat and syrah blend from Château d'Aydie. Medium bodied with jammy morello cherry and a hint of black pepper, it met and very much embraced the rich meatiness of our cassoulet. So about that cassoulet. Yes, of course you should order it. It's one of the Gascony's signature dishes, but more importantly you've got all your winter warmer essentials in there: soft velvety beans, fatty sausages, the crunch of bacon and another big hunk of slow-cooked pork. Look at that sky. Now look at yourself. 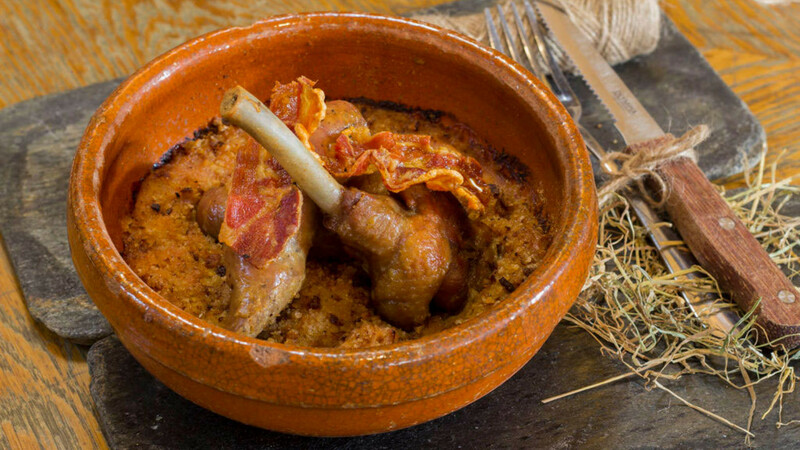 And back at that sky again – cassoulet is absolutely the right decision right now. If that's not doing it for you, then the fatty duck confit with salty, buttered-up Jersey Royal potatoes is another excellent way to go. But take us back again and we'd eagerly take down the deluxe burger. Can you say rich and juicy duck burger with a slice of pan-fried foie gras without your mouth watering? We didn't think so.